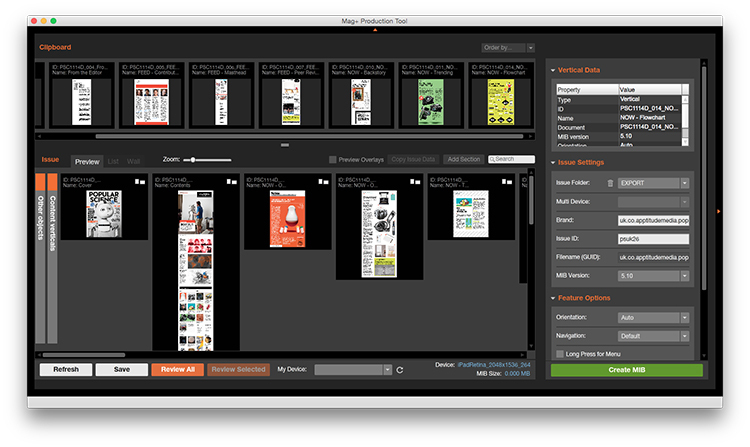 If you’re promoting an interactive magazine – and if you’re putting a magazine on a tablet, it really should be interactive – nothing really shows it off like a video, so we’ve been producing preview videos of our apps, like the one above, for some time. But with iOS8 comes the new option to embed a video right into your store listing, and a few people have asked how to do that – so here’s a quick guide based on our experiments at Apptitude Media. 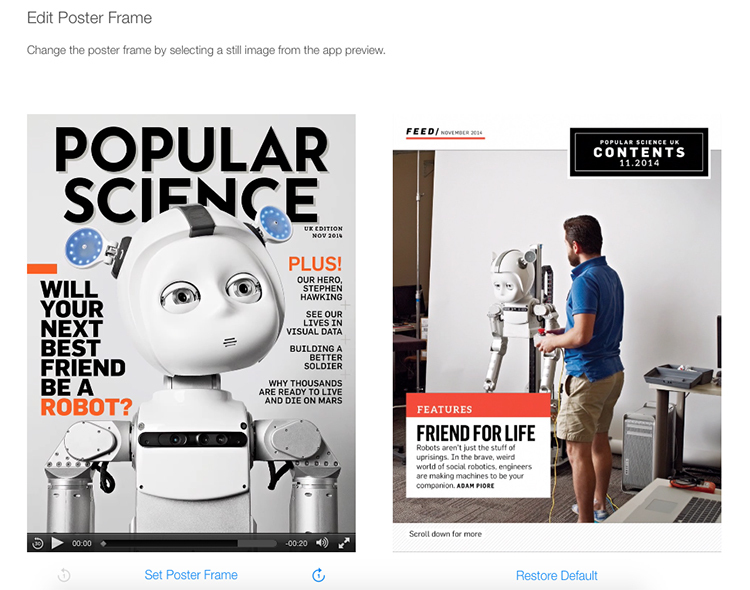 2) In our experience, the app preview videos for Newsstand apps only update with a new app version. This is inconsistent and strange, but there you go. 3) App Video Previews are new, and Apple has already changed the video spec once, so this may become out of date. If so, I’ll attempt to update it as soon as possible. .. and sent that over to my iPad via WiFi. You could alternatively just pick a few pages and click “Review Selected”. This sounds dumb, but there’s not much point making recording after recording as you learn how quickly you can swipe through pages, and where the best content to highlight can be found. You’ll be able to edit later, of course, but the better your source recording, the less work that’ll be. So grab a timer, and swipe your way through the pages a few times until you’re ready. Connect your iOS device and Mac via Lightning cable. Open Quicktimer Player on the Mac. Choose “New Movie Recording” from the File menu, then when the record window appears click the down arrow next to the record button. Choose your iOS device, which should be listed here. Once you see your device on screen, as shown above, click Record and swipe through your app. When done, click the Stop button. 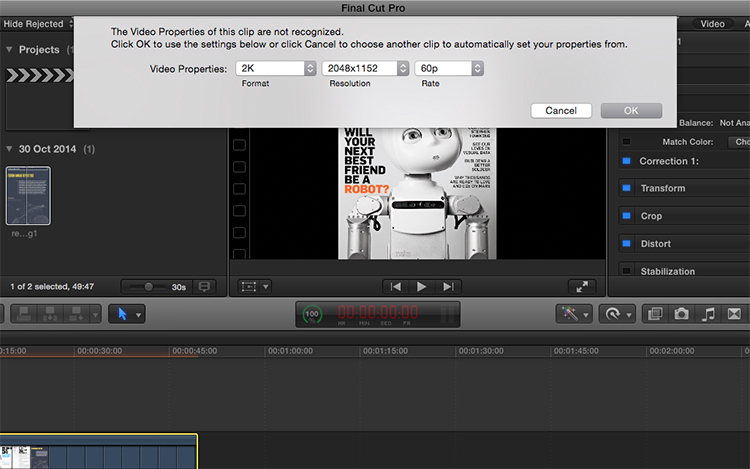 How you do this part is up to you – for most of our videos I want to set the results to music, so we use a robot (seriously – it’s made of Lego, you can hire it) to swipe through at an exact pace. Once you’re done, click Save from the File menu – I just dropped the resulting Quicktime file on my desktop, because I’m lazy. For an iPad this should be 900 by 1200 at 30p – see Apple’s document here for iPhone resolutions. If you’re using Premiere Pro, use these values as your sequence settings. Whatever software you use, though, a warning: remember to detach and remove the audio included in your iOS screen recording, as this will be the sound of you tapping and swiping, plus background noise and breathing – it sounds more like a nuisance call than anything you’d want to release into the app store. So, choose your video file, and pray to the deity of browser-based uploaders that it makes it safely to Apple’s servers in one try. When we first tried this a few weeks back Apple seemed to be enforcing a very strict filesize limit, which necessitated recoding the video over and over at progressively lower quality until it was accepted (by which time it looked, frankly, pretty rough), but this has now been raised to 500MB. .. and then save your app version. When you send this new app version off for review, and it’s approved, the preview video should appear alongside your listing. Congratulations, you’re done. 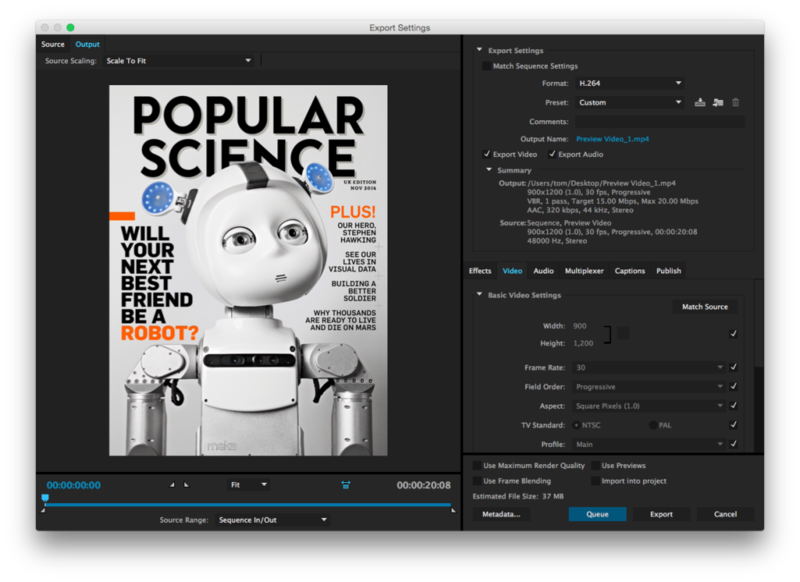 And finally, a word from my sponsors: I look after this stuff for Apptitude Media, where we turn print materials and publications into interactive apps for customers ranging from publishers to banks to film festivals and catalogues. 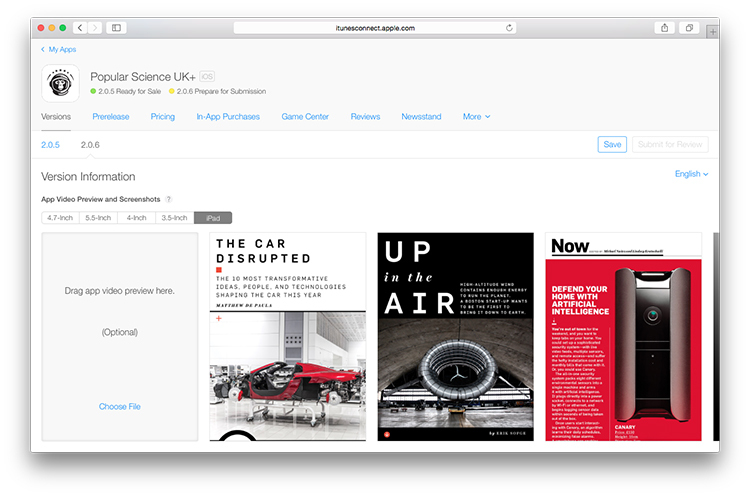 If you have a publication that you’d like to see on the App Store, we can help – just say hello here. 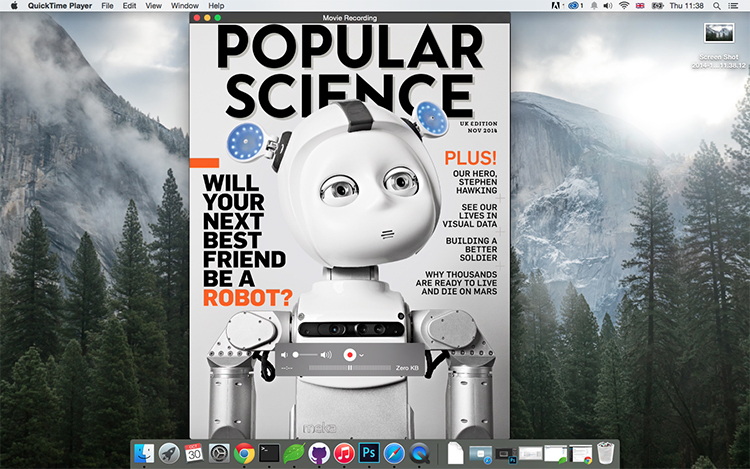 * Yosemite is great – it even works better than Mavericks with our Mavericks server.